New Zealand is a Pacific Island nation that has blended Oceanian, Polynesian and European traditions into its modern culture. New Zealanders (also known as Kiwis) are often viewed as being friendly, inventive, outgoing and welcoming people. They are generally calm and may initially seem slightly more reserved and polite in comparison to Australians. However, their culture is still highly informal and relaxed. The 2015 Global Peace Index identified the country as the fourth safest in the world. This sense of safety, along with relative social and economic security, gives many New Zealanders an optimistic outlook on the freedom and possibilities around them. There is a strong individualistic streak that underpins New Zealand’s culture. The do-it-yourself spirit encourages self-reliance, inventiveness and bravery. Many national narratives celebrate courageous Kiwis overcoming adverse odds. However, the idolisation of achievement is tempered by the love of the underdog. Those who excel too much or show arrogance are likely to be resented and swiftly cut down with ridicule. Because of this phenomenon (commonly known as tall poppy syndrome), New Zealanders are modest about their accomplishments and often self-deprecate to avoid seeming pretentious. Humility is essential to social interaction. New Zealand is geographically isolated in the Pacific Ocean, and this can provide a sense of removal from pressing global political issues. Nevertheless, its people are very globally minded and most have a strong aspiration to travel. It has become almost a rite of passage for people to gain overseas experience, with many taking advantage of easy migration opportunities to the UK or Australia. With the age of the internet, the younger generation is becoming particularly globally aware. Around 17% of the population live overseas. New Zealanders generally see themselves as being open-minded towards new ideas, difference and change. Most Kiwis are proud of their country’s historically prevailing liberal social attitudes (for example, New Zealand was the first country in the world to give women the right to vote). Largely, New Zealanders try to be accepting and tolerant of most differences. Society is underpinned by strong egalitarian beliefs that everyone should have the equal opportunity to better their circumstances regardless of their background. People who are financially successful are not viewed as being better than anyone else – rather, those who are privileged are simply acknowledged as better off than others. As such, whilst there are social stratifications among the wealthy, the middle-income earners and the poor, there is no formal class structure in society. A person’s level of education and wealth does not necessarily earn them status or respect; instead it is simply acknowledged that they have an advantage or a ‘leg up in life’. Thus, people from different social brackets tend to interact quite easily with each other. Visible social differences in society generally correlate with ethnicity; the indigenous people of New Zealand (Māori) and Pacific Islanders are still significantly disadvantaged compared to the white majority. People who identify as Māori are more likely to earn less, have poorer health standards and economic standards of living. Māori and Pacific Islanders also make up a disproportionate amount of the imprisoned population. The majority of non-Māori Pacific Islanders came from the Cook Islands, Samoa, Tonga, Tokelau and Fiji. They tend to live in or around the main cities and usually migrate for employment or family reasons. Another significant ethnic population in New Zealand is the Asian population (mainly from specific countries such as China and India) that has steadily migrated – mostly for economic reasons. One may argue that racial tensions are less pronounced in New Zealand than Australia because the indigenous/non-indigenous relationship developed slightly differently. It should be noted, unlike the Aboriginal population of Australia, the Māori people share the same language and have relatively similar customs. This is not to say their culture is homogenous, but different tribes had enough collective similarities to allow them to maintain a relatively solid sense of their history and cultural knowledge despite the fracturing caused by colonisation. Hence, indigenous culture has been integrated more visibly into New Zealand's mainstream society than it has in Australia. For example, the Māori language is an official language of the country and is taught within the school curriculum. 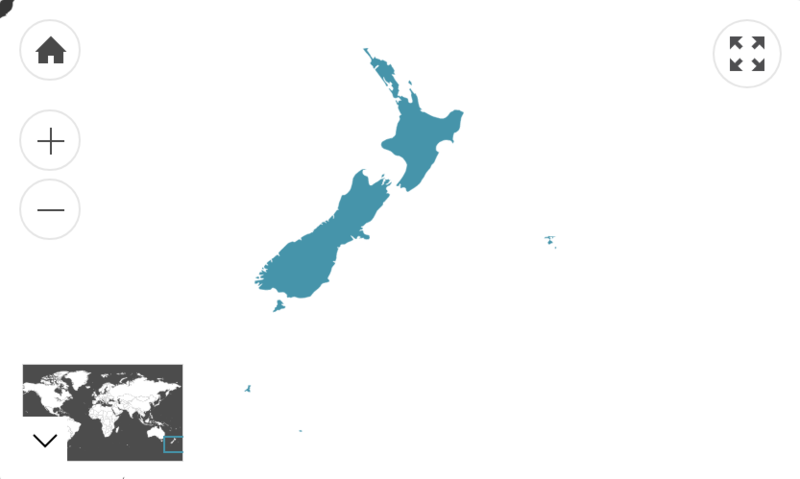 New Zealand English contains many Māori words that are in common use. Mainstream society has developed a degree of reverence, acceptance and understanding of the indigenous heritage of the country. Most New Zealanders of all backgrounds feel moved and proud when they see their nation represented by Māori on the global stage. Furthermore, this has encouraged more Māori to feel pride and honour in their identity, and to recognise that disadvantages associated with their ethnicity are externally caused. Sociologists have argued that Māori’s pride in their culture and history has made New Zealanders of European descent less assertive and entitled (in comparison to Australians). Caucasian New Zealanders may be referred to as ‘Pakeha’ – a word that can be interpreted as a neutral or derogative term depending on the context or sensitivity of the person it is referring to. Something that unites New Zealanders is their love of the natural beauty of their land. Foreigners are usually struck by how proud they are of their country’s incredible landscape and environment. There is a strong social and political will to preserve the natural environment. Influenced by the indigenous world view, some New Zealanders believe that all aspects of the ecosystem have a mauri (life force) and damage to this mauri – by attempts to dominate or extort the land – causes the land and its people to lose energy and vitality. A second common bond in society is through the pride of place in the public imagination that the national rugby team (the All Blacks) command. The New Zealand team are statistically the most successful team to have ever played rugby, and the nation comes to a virtual standstill when important matches are underway. The contribution of Māori players to the success of the national team is undeniable and the haka, a ritual Māori challenge undertaken by the team at the start of the game, is a defining cultural symbol for New Zealanders. Note: Total surpasses 100% due to the ability to select multiple responses on census. This figure refers to the number of Australian residents that were born in New Zealand. Of those who speak a language other than English at home, 88.5% speak English fluently.